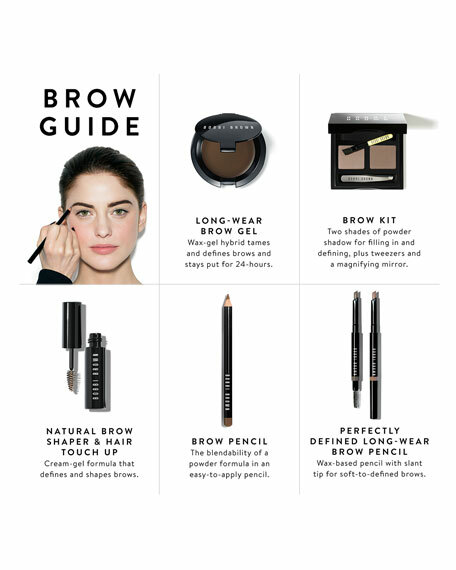 Based on the Bobbi Brown technique of using pressed powder on brows for the most natural look, this formula gives you the blendability of eyebrow powder with the precisionand convenienceof a pencil. Powder-based and wax-free formula ensures a soft, natural-looking application. For in-store inquiries, use sku #875887. 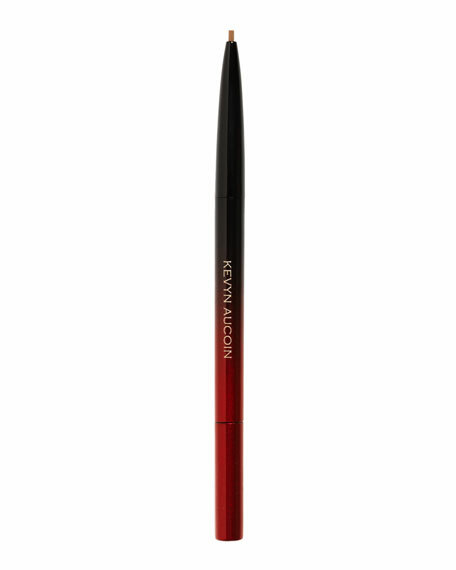 Applies precision color that is long lasting. Retractable design. Water resistant. 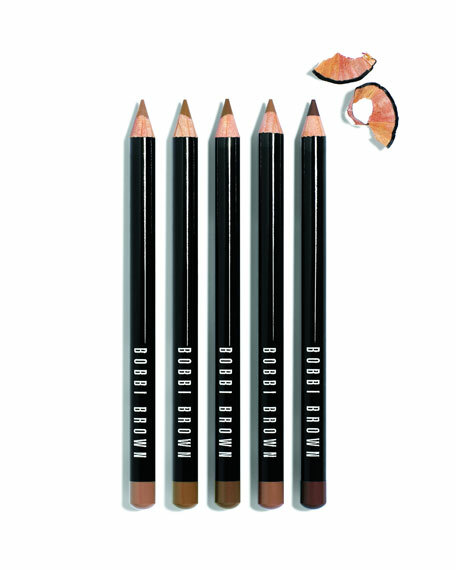 Draw short upward strokes to mimic hairs and fill in sparse eyebrow areas. Blend with the spoolie brush for a natural yet defined look.